"We walked away excited and eager to join"
"I wanted to send a special thank you to you and The Tutoring Center franchise support team. When Collin and I made the decision to purchase a franchise, we went out and did a lot of research: books, blogs, magazines, government sites, etc. Once we narrowed our decision down to an after school learning program, we investigated your competitors and found them wanting! Yes, Kumon may be cheap and Sylvan may be big, but as Goldilocks put it, "This one is just right." Rather than being pressured to purchase, I felt empowered to make a decision. We walked away excited and eager to join. Thank you for giving us the privilege to join this growing team. The Incredible Potential For A Six-Figure Business, Part -Time! Our track record proves you can hit six figures a year just working part-time. It's a lot easier than you might think, too. In fact over 60% of grand openings in 2007 saw their break-even point in 30 to 60 days. Opening during the December holidays meant a more gentle start for some, but they were soon performing at impressive levels as well. Guidance in center location, build out and inventory – Once you sign your franchise agreement, you are assigned your own Support Team. They'll give you all the guidance you need on exactly how to locate, design, and open your center. Individualized Training – You can hit the ground running, totally prepared with an individualized training program that focuses on your experience and background. Our laser-focused training includes choosing academic programs, structuring your classrooms and front office, marketing your Center, hiring employees, and customer service. Multimedia Interactive Operational Support – Our ongoing training and support system is considered the finest in the industry. That means you'll always have access to your Support Team via telephone, e-mail, video and audio iChat teleconferences, and other electronic media. You'll receive ongoing support, too – through networking meetings, newsletters, and training seminars. Most importantly, you can attend unlimited training at the corporate training facility – at no additional charge! Few things in life are more gratifying than helping a child blossom and grow. When you become one of The Tutoring Center's franchise owners, that's exactly what you'll do – plant seeds of success in the life of a child. You'll watch your student's academic skills climb, boost their confidence and motivation, and give them the skills they need to become life-long learners. What could be more rewarding than that? Don't wait a minute longer to have the business and lifestyle of your dreams. To find out more about The Tutoring Center, please complete the short form below and we'll get in contact with you as soon as possible. We look forward to hearing from you! It's no secret that, for many children, keeping up in school is hard. Naturally, concerned parents are looking for help. And for a growing number of families, supplemental private tutoring is the key. Now you can help make a difference in the lives of these children, their families' lives…and in the process change your life, too. How? Let me explain. When the No Child Left Behind Act became the law of the land, the tutoring industry quickly exploded into a staggering four billion dollar business. This dramatic growth opened up new doors for people from all walks of life, people just like you, who would love to enrich the lives of children while at the same time, invest in their own future. Does that sound like you? If so, The Tutoring Center franchise is a dream come true. Teaching experience is NOT required – enthusiastic tutors do the teaching, you run your business. And no worries – we show you exactly how to find excellent tutors. Your passionate desire to help children, an entrepreneurial spirit, and the drive to succeed takes care of the rest. Finding top-notch instructors and staff is easy – when you know where to look. Your toughest challenge will be narrowing it down to just a few! 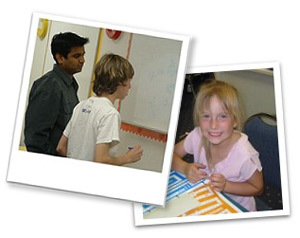 Most of our franchisees have a long waiting list of qualified tutors anxious to work for them. Our low franchise fee – and your rate will never change for the life of your agreement. We want this to be achievable for you. Surprisingly low cost of operation – especially when compared to running other types of businesses. You'll keep your profits where they belong – in your pocket! No accounts receivable –your tuition payments are collected automatically each month within our state-of-the-art system. No inventory to spoil - no hassling with "short shelf life" or "dusty inventory" piling up and costing you money. You'll be in charge of your own business. No worries about the boss looking over your shoulder because the boss will be you. Rewarding 20-hour workweeks, Monday through Thursday. Finally, you'll have more time to really enjoy life with shorter work hours and longer weekends. Our proven business model runs flawlessly even if you're "out of the building". You can spend personal and family time the way you want – no exhausting late nights or weekends buried in paperwork. If you're looking for a new career that will nurture the minds of children in your community AND support the lifestyle change you've always wanted, there's good news - you've finally found it! 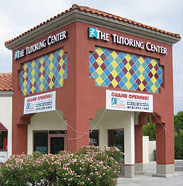 Click on Request Information button above for FREE information on how to start a THE TUTORING CENTER franchise today! Please Note: THE TUTORING CENTER franchises for sale, and other franchise opportunities, business opportunities, businesses and franchises for sale on this web site are not to be considered as an "offering", "franchise offering", suggestion or recommendation by GlobalBX. The franchises, businesses and business brokers seen on this web site submit their own individual content. This advertisement depends entirely on the truthfulness of the information provided by our advertisers which includes, but is not limited to, franchisers, franchises, franchise brokers, franchise consultants, business sellers and business brokers. As always, GlobalBX recommends that you consult a lawyer, financial consultant, accountant or professional advisor before buying a franchise or business opportunity or any type of business. By submitting this form and requesting more information, you have agreed to all terms and policies of GlobalBX and the business and franchise offerings listed here. Please review our Terms & Conditions for more information.